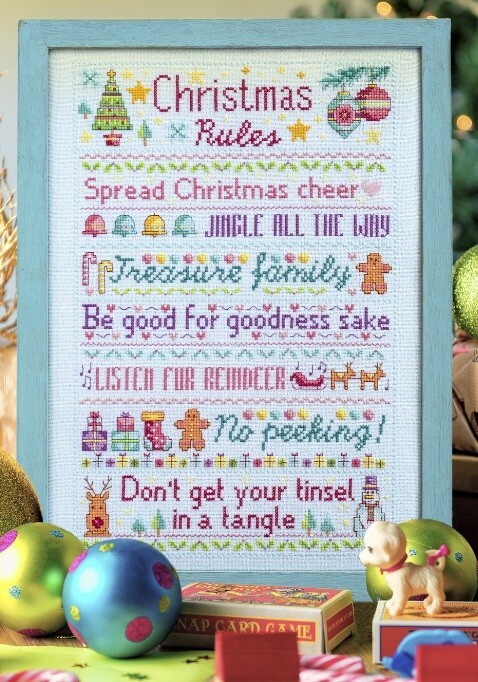 Everything you need to make Cross Stitcher magazine's Yule Rules from issue 339. Zweigart 28 count Brittney in Snow Glitter, skeins of DMC stranded cotton, two gold-plated tapestry needles; size 24 and size 26. PLEASE NOTE: Project pack does not contain the chart . The chart can be found in issue 339 January 2019 of Cross Stitcher Magazine. Due to the amount of items contained in the project pack, please allow an extra 3-5 days for packing and delivery.